TEP’s Sundt generating station on Irvington Road on Tucson’s south side. Tucson Electric Power is proposing to modernize the Sundt Generating Station at 4120 E Irvington Rd. in Tucson by replacing two 1950’s era steam units with 10 natural gas-fired combustion engines. The purpose of the new engines is to ramp up more quickly and to balance the variability associated with solar and wind energy generation. But all that ramping spouts more pollution into the air than the current steam units. TEP claims that these units are part of a larger goal for 30% renewable energy by 2030, but gas-fired engines should not be equated with clean, renewable power from wind and solar. The Reciprocating Internal Combustion Engine (“RICE”) units are fossil-fuel based generating units that would create significant greenhouse gas emissions. According to the Pima County Department of Environmental Quality, the project expects to cause an increase in emissions of carbon monoxide, particulate matter (fine particles PM2.5 and coarse particles PM10) and volatile organic compounds. Over a third of carbon dioxide emissions in the US are from power plants. TEP needs to stop promoting the idea of “clean gas.” Just stop. It reeks of Big Oil rhetoric. Burning fossil fuel still emits about 60 percent as much heat-trapping carbon dioxide as coal. Fracking for gas releases vast amounts of methane, a greenhouse gas that traps 80 times more heat in the atmosphere than carbon dioxide pollution. Gas extraction harms wildlife, disrupts ecosystems, and has been proven to contaminate water and even cause earthquakes throughout the U.S. Neighborhoods in southeast Tucson have suffered from decades of coal and gas pollution from the Sundt plant. Pollution from the Irvington Road generating station has had negative health effects for generations. Now TEP is proposing a plant that will emit hazardous air pollutants that are harmful to our health, including benzene, fluorene, naphthalene, and toluene. This proposal will cause a net increase in pollution from particulate matter, carbon monoxide, volatile organic compounds, and greenhouse gases such as carbon dioxide, methane, nitrous oxide, and sulfur hexafluoride. And none of this is necessary! Utility-scale battery storage can provide the fast acting support that TEP needs to incorporate intermittent renewables like wind and solar even faster than gas units. TEP claims that the RICE units are the most cost-effective option to incorporate intermittent renewables, but did they even consider clean alternatives to the RICE units? By pairing batteries with solar resources, utilities can use tax credits to reduce their costs. The prices for solar-plus-storage and wind-plus-storage systems have been plummeting, leading to record-breaking low prices in energy projects in other states. Colorado recently beat a record that Arizona held for the lowest-cost solar-plus-storage project. The median project in Colorado’s energy solicitation was 20% lower than TEP’s NextEra solar-plus-storage project. Sundt Generating Station represents a prime opportunity to choose renewable resources instead of building brand new fossil-fuel reliant projects. TEP’s service territory sits in one of the richest renewable resource zones in the country. Renewable energy creates far more jobs than fossil fuels. According to the Department of Energy, Arizona’s clean energy and energy efficiency industries already employ nearly 5 times as many people as the fossil fuel industry, and there is much room to grow. So why isn’t TEP doing what’s best for Tucson’s economy and health? TEP’s target to serve only 30% of its load with renewable energy by 2030 isn’t nearly ambitious enough to protect Arizona’s air and water and to limit the impacts of climate change. It’s time for our governing officials to demonstrate some strong leadership and do what’s right for the people of Tucson and the future of our city. The time for action is now — while we still have this window of opportunity. We can make a difference. Our city council can make a difference with some bold leadership! This is something concrete we can all do to leave a better life for our children in Tucson. 1. Contact your Pima County Supervisor. Ask them to deny TEP’s request for increased air pollution limits for the proposed installation of ten gas-fired Reciprocating Internal Combustion Engines (RICE) at the Sundt Generating Plant in Tucson. Most County officials claim that the County’s hands are tied, and that the decision is up to the EPA. But the County’s Department of Environmental Quality is holding public hearings, and even added one on March 28. “. 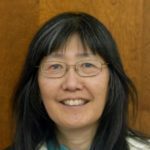 . .[N]o compromise on principles of equity, fairness, justice, prosperity, livability, and environmental integrity.” TEP should not be rewarded for having previously failed to comply with development standards. 3. 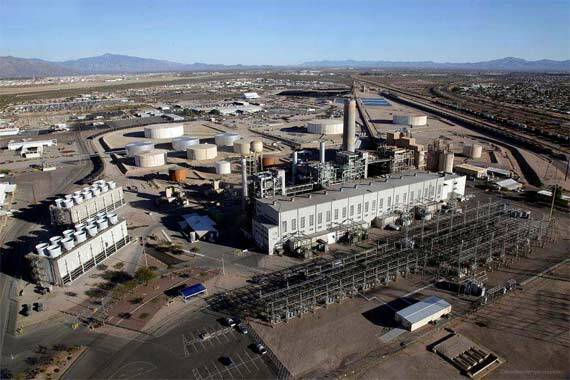 Join the Sierra Club for a rally and march on Wednesday, March 28 to protest Tucson Electric Power Co.’s plans to install dirtier and less-efficient gas-burning engines in its Sundt Plant. The rally begins at 4:15 p.m. at TEP’s downtown headquarters, 88 E. Broadway. A short march will follow to the Pima County-City of Tucson Public Works Building at 201 N. Stone Avenue, the site of a 5:30 p.m. public hearing on the new permit TEP will need to increase its unhealthy and climate-changing air pollution. Hi Jana, welcome to Blog for Arizona. You can also post this March 28 rally/march under Events on our WordPress dashboard.